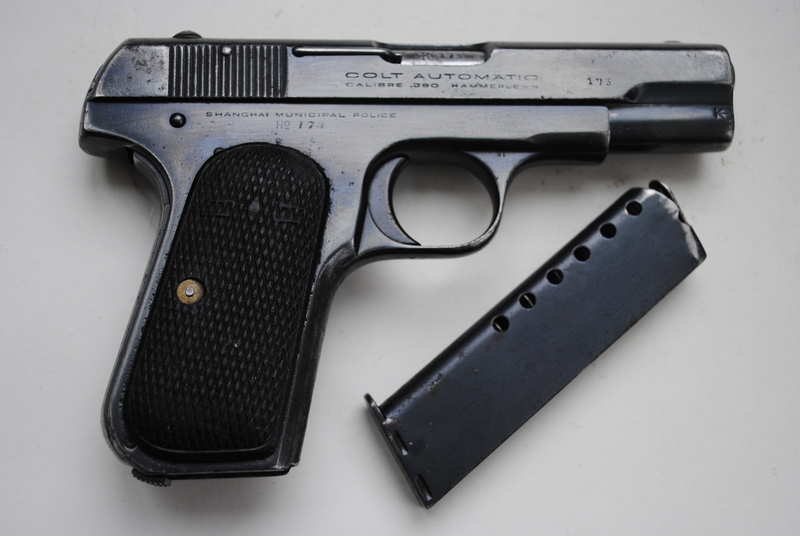 Colt. 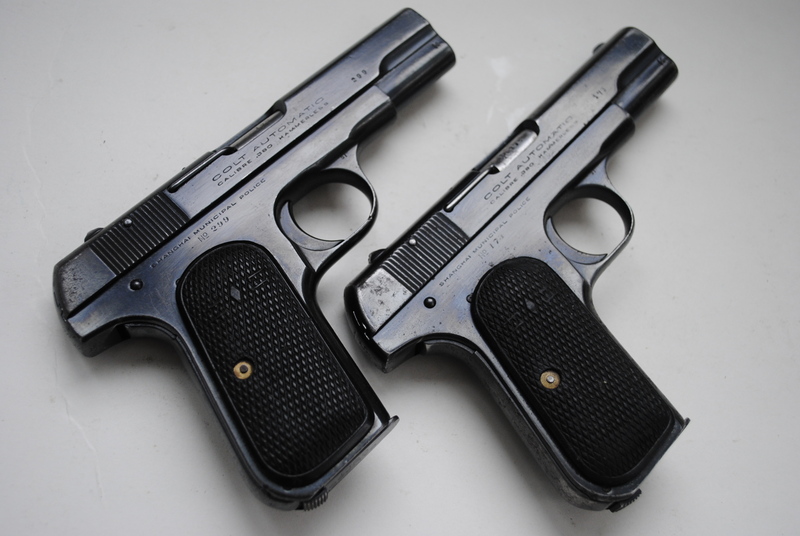 .380 Shanghai Municipal Police – 2 MORE ! Thread: Colt. 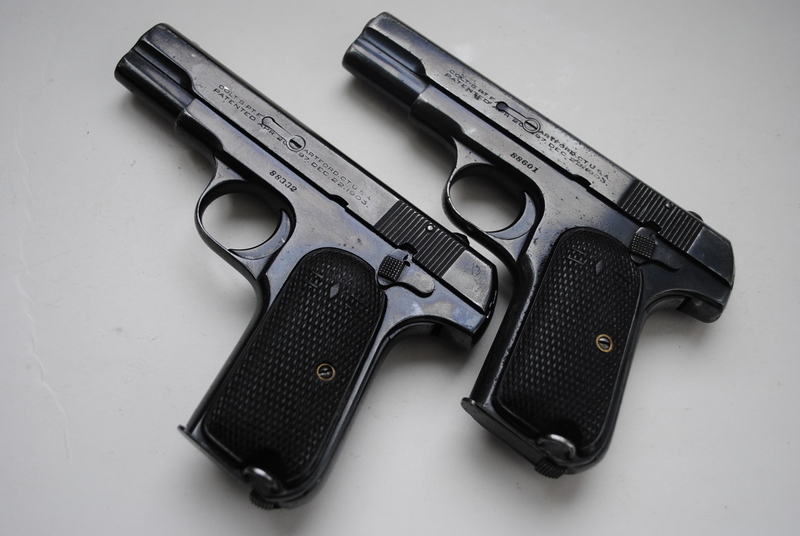 .380 Shanghai Municipal Police – 2 MORE ! Last edited by bruno38; 12-19-2017 at 12:21 PM. pullstart, Mosby, ei8ht and 23 others like this. ei8ht, Coltsformysons and baxtersmith like this. Very nice examples. Lucky you. Jackson, ei8ht, Coltsformysons and 1 others like this. Recently I was the high bidder on one of these right up until the end. I was outbid by a fellow forum member. I decided not to run it up anymore. It sold at a real good price. I'll remember who you are and get even sometime down the road. Just kidding. Don't blame you a bit for bidding. It was a real good buy. Glad you got it. Radicalrod, bruno38, ei8ht and 5 others like this. Those two SMP's (as all the others I bought in the past years) were acquired in Canada. Since they are considered "prohibited" under Canadian law, one must be grandfathered to acquire and own them. Because of a low demand, they sell for a fraction of their price in USA. That's why I can afford buying them. Unfortunately, because they don't meet BATF standards, they cannot be exported south of the border. ei8ht, Coltsformysons, baxtersmith and 1 others like this. You certainly have the Canadian advantage! I have no idea about the property number on fore strap. I recently added a SMP hammerless for a total of 9 now for me. Hard to find and getting expensive. A couple of new made 1903's for me but that is all. Last edited by ei8ht; 12-19-2017 at 05:27 PM. Coltsformysons, bruno38, Mike Faires and 2 others like this. ei8ht, bruno38 and SHOOTER13 like this. Back to square one, i.e to my first entry over one year ago. 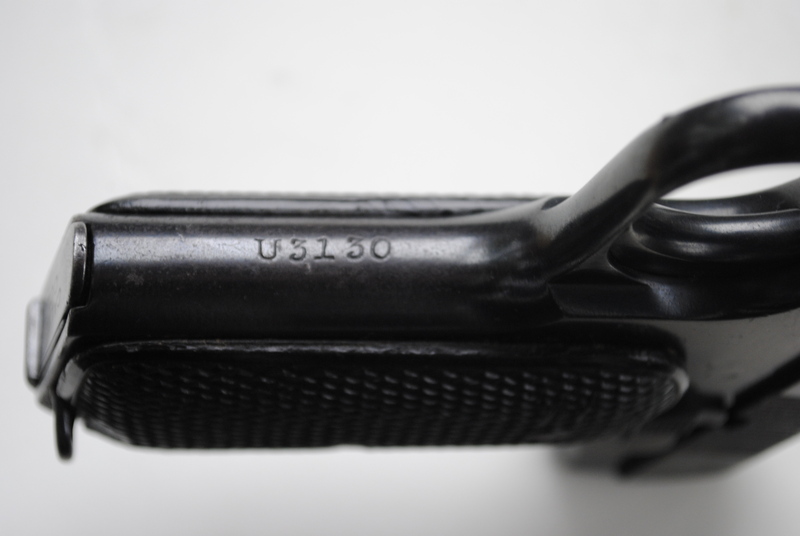 Any idea what U3130 on front grip strap refers to? 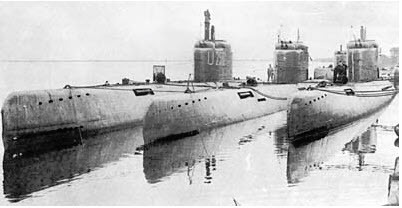 I don't know the answer to your question but can say that German U-boat "U-3130" would have been a very late WWII "Elektroboot"
stan3, ei8ht, baxtersmith and 1 others like this.